On May 17, 2005, Naxos released Peter Boyer’s Ellis Island: The Dream of America in its American Classics Series. Nearly two years in the making, this recording of Boyer’s most acclaimed and ambitious work was made in three cities on two continents, and features world-class performers. 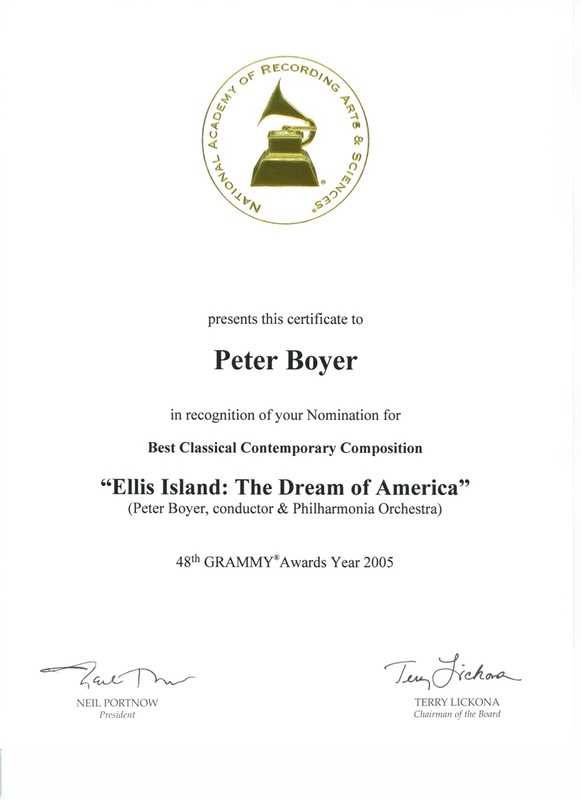 On February 16, 2003, Boyer conducted the renowned Philharmonia Orchestra at London’s Air Studios in sessions dedicated to the orchestral tracks of the recording, with top London recording engineer Geoff Foster. On September 17-19, 2003, Boyer worked with Grammy- and Tony-winning director Martin Charnin (lyricist/director of the musical Annie) in New York recording sessions of the spoken texts of the immigrants’ stories. These sessions featured a stunning cast of Oscar-, Emmy-, and Tony-winning actors: Barry Bostwick, Blair Brown, Olympia Dukakis, Anne Jackson, Bebe Neuwirth, Eli Wallach, and Louis Zorich. 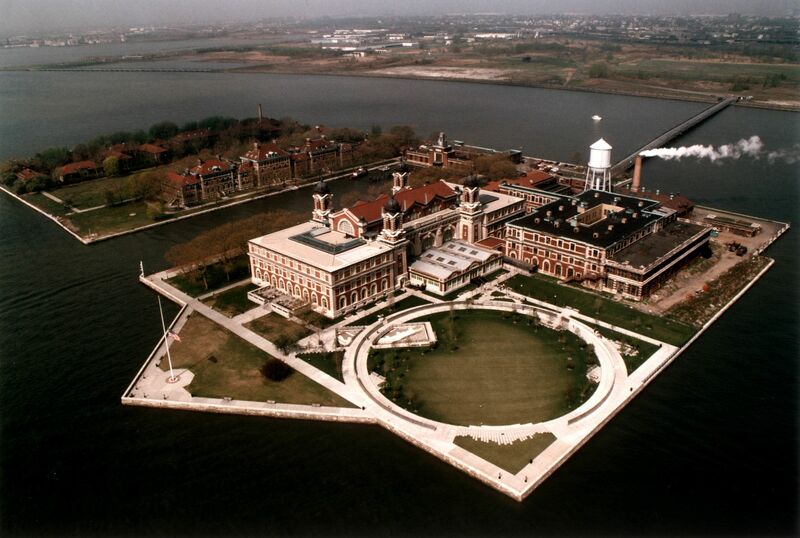 These outstanding actors brought the stories of these Ellis Island immigrants to life in an unforgettable way. Post-production was done in Los Angeles with recording engineer Casey Stone. 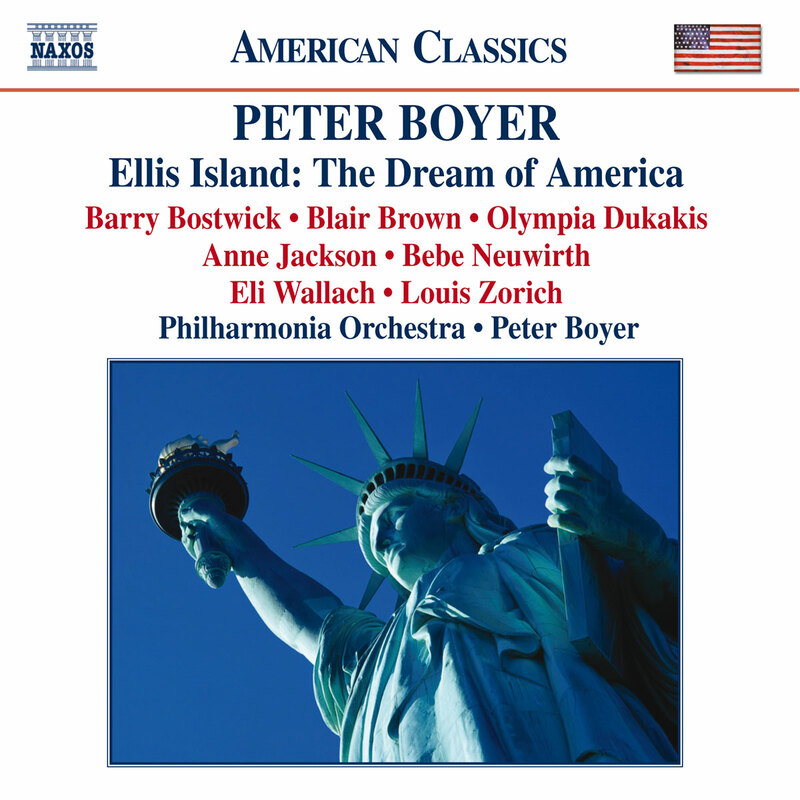 In fall 2004, Propulsive Music signed a contract with Naxos of America for distributing Ellis Island: The Dream of America its American Classics Series. This internationally renowned series of recordings of American repertoire includes composers such as Adams, Barber, Bernstein, Copland, and Ives, and Boyer’s recording has proudly joined this esteemed company.